It's a beautiful day to enjoy the patio with wok tacos and branded tortillas. Don't forget that special person! 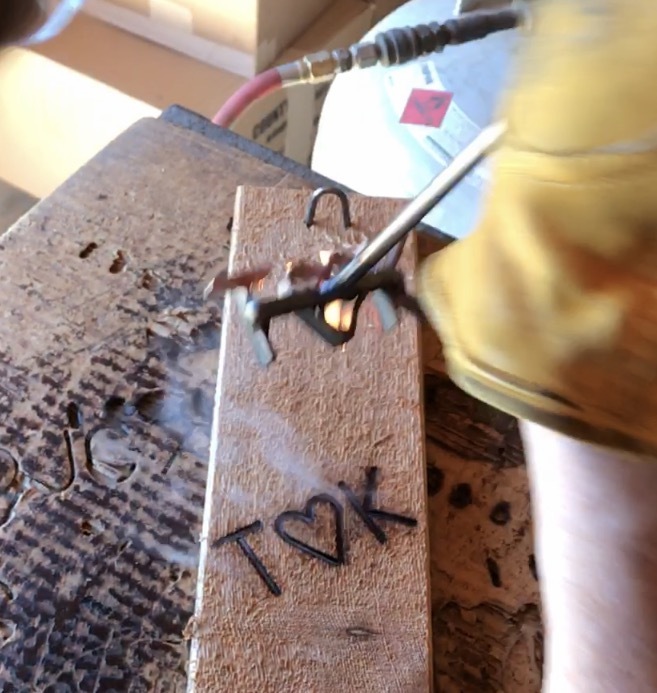 What better gift than a personalized Miniature Branding Iron? Your sweetheart can brand a steak, or anything on the grill. or for something more permanent, you can brand wood or leatherwork (think cutting boards, wood or leather projects, saddles...). For $22 you can get ABC, A+B, A&B, A❤B, or A inside a heart. Also available are cedar display boards and carving boards, both branded with your brand. It's a beautiful October morning here. We are loving the cooler weather. Love looking out the "office" window to this view.